More than 20 Australian and international speakers will share their expertise in the field of marriage and unpack the Pope’s exhortation with talks, workshops, and inspiring testimonials. Byron and Francine Pirola, co-directors of the Marriage Resource Centre, will host the 2016 National Renaissance of Marriage Conference in Sydney on October 21-22. Over the two days speakers will cover a three-stream program tailored for different areas of interest: for parents and those involved in youth and senior school ministry or education; for those who minister to the engaged and newly-weds, and for those providing support and enrichment to married couples. The stellar line-up includes Christopher West, best-selling author, speaker, and international expert on John Paul II’s Theology of the Body; Archbishop of Sydney, Archbishop Anthony Fisher OP; Drs Ron and Mavis Pirola, Synod on the Family attendees; Archbishop of Brisbane, Archbishop Mark Coleridge; Chris Ford of Explore Marriage (UK), Peter Shakhovskoy of Men Alive; Karen and Jonathon Doyle of Being Catholic; and Paul Ninnes of Real Talk. 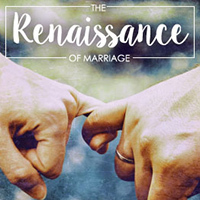 The Renaissance of Marriage will appeal to educators, Catholic councils and clergy, professionals and tertiary students, teachers, volunteers, parents, couples, and anyone interested in the enduring importance of marriage. See the website www.rom.org.au for more information on the conference, fee schedule, and speakers.